Does Your Mom’s Daily Diet Meet Her Dietary Needs? Do you know what your mom eats every day? Is she meeting her dietary needs? Many seniors don’t. In fact, Today’s Dietitian did a study of 3,209 elderly people in Pennsylvania and discovered more than half had issues with proper nutrition. Almost 6 percent qualified as malnourished. A 2010 healthcare report found that 3.2 percent of seniors discharged from hospitals were diagnosed with malnutrition. Here’s What Your Mom Needs. According to Health.gov’s Dietary Guidelines for Americans 2015 to 2020, a woman over the age of 70 should eat 2 to 3 cups of vegetables each day. Fruits should make up another 1.5 to 2 cups. When it comes to whole grains, your mom needs 5 to 7 ounces. Dairy is lower at around 1 to 1.25 cups per day. Protein needs are in the 5 to 6 ounce range, and the focus is on seafood or lean meats like chicken breast. Your mom should limit sugar, saturated fats, processed foods, and items made with white flour. Whole grain pasta and bread are better than regular pasta or white bread. In place of white rice, your mom should switch to high-fiber grains like farro, barley, or quinoa. Tips for Getting Your Mom to Improve Eating Habits. Changing taste buds often impact how foods taste to the elderly. If your mom is finding that foods she loved no longer taste the same, work with her changing tastes to come up with new favorites. If she finds bananas to be too sweet, try a more citrusy tasting mango. If she suddenly hates the taste of shrimp, try scallops instead. Instead of larger meals, have her snack frequently and cut meal portions down. 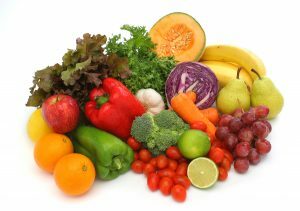 Fresh fruit and vegetables, raw nuts, and smoothies are all quick and easy snack ideas that take little work to prepare. Add wheat germ or chia seeds to a smoothie for added fiber. Your mom loves spaghetti and meatballs. Instead of white pasta, switch it for whole grain pasta or use a spiralizer to turn zucchini into noodles. You could also swap pasta for spaghetti squash and sneak in more vegetables during the meal. Add fruit to her diet by using frozen strawberries in place of ice cubes in her glass of iced tea. When they’ve thawed, she can eat them with a spoon. Work with a caregiver to figure out what your mom really enjoys eating. Home care professionals can take your mom shopping, cook her meals, and keep her company while she eats. The right caregiver becomes a vital part of your family. Call a home care agency now to learn more about meal services.